Searching the Internet is the best way to find out what sea turtle facilities are close to you or where you plan for a vacation. One online list is Animaltourism.com. It covers the globe and a wide range of animals. See its U.S. map, then scroll down the page for the list of worldwide sites. SEEturtle.org leads conservation tours in several Latin American countries. * NESTING TURTLES The Padre Island National Seashore maintains the nationwide database on Kemp’s ridley nests. Seaturtle.org provides a Texas Gulf coast nest location update. If possible, photograph or videotape her only after she has started laying eggs, but do not use regular lights or camera flash if you are watching a night-nester. Lights can cause the nesting effort to be aborted and the sea turtle returns to the sea without laying her eggs. Speak quietly or not at all. Examine her top shell for a living tag and note its location. Look at her front flippers to find a metal tag and record the number, but DO NOT touch or remove the tag. Place a distinguishable marking on the sand about one foot to the side of the nest. DO protect any sea turtle tracks you find. Place a noticeable object next to the tracks and note their exact location. Be sure to notice how far the tracks extend up the beach and mark where they terminate. However, DO NOT pierce anything into the sand where a nest might be located. Protect from traffic or predators any hatchlings emerging from a previously undetected nest that are crawling towards the water. From a distance, count them, photograph or videotape them, and allow them to enter the water. Place a distinctive object next to the place in the sand where they emerged. touch nesting sea turtles or hatchlings. If something is in their way, move it, not them. approach nesting female until after she has begun laying her eggs or is covering her nest. Even then, give her space, stay back and quiet. “Be a Good Mate: Follow responsible boating practices.” Remember sea turtles often swim at the surface and are hard to see. Many injuries and deaths are caused by boat strikes. “Leave Space: Viewing ocean creatures from a distance ensures both your safety and theirs.” The need to touch or be close can be strong, but these are wild animals that deserve respect and you, safety from unexpected animal reactions. Stay off coral or sensitive habitat. Mind your fishing gear and trash. If you bring it in, haul it out…everything, including food remains. Thanks to SEEturtles.org and its parent, The Oceanic Society, for this great information. Find complete details here: Swimming with sea turtles. All seven sea turtle species, world-wide are threatened or endangered. Leatherbacks losses to long-line fishing in recent years are moving them closer to the Kemp’s ridley on the most endangered scale. Turning things around begins with education supported by action: speaking out to educate others, volunteering, and giving financially if you can. Start in the library or on the Internet. Purchase books about turtles and/or the issues. Visit a facility, state or national park to see and learn more about sea turtles and their environments. Again, one of the most complete, global info sites on sea turtles is SeaTurtle.org. Lots of turtle facts, links to most of the sea turtle education, conservation, and restoration groups, satellite tracking, and photos of all kinds of turtles and people, including kids, who help them. learn about the fish you eat. How is it caught? 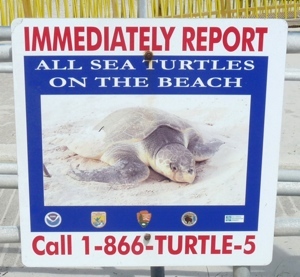 Are turtles or other species killed or seriously injured in the process? What are the alternatives and what environmental issues are involved with them. If you fish, dispose of used line and hooks properly so nothing gets entangled or injured accidentally. Reduce fuel consumption: Drive less, walk or bike farther if you can. Ride-share. Buy locally when you can. Reduce or eliminate night-time light pollution, especially near nesting beaches, with turtle-friendly lighting. Organizations saving sea turtles through on-the-ground projects and/or legal action, all accept donations of any size. I’ve listed a few at the bottom of my Conservation, Rehabilitation, and Education page. Most important is to find groups or individuals YOU want to support. Even, like Elizabeth in the story, ones that will train you as a volunteer.